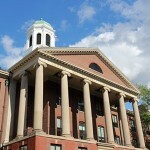 The market has made higher education in the United States what it is, complete with features that many wish to complain about, including certain kinds of facilities and staff that contribute to rising costs. A 21st Century Education: What Do Students Need Know? What should an educated person of the 21st century know and what does that means for the ways in which U.S. research universities ought to strengthen their teaching effectiveness? Can We Meet the Challenge? How will it feel to become a second class nation? Inferior in technological innovation, second class in artistic creativity, a follower rather than a leader? This is possible—not certain—but a very real danger if the United States continues on its present course. Liberal arts (and sciences) are the best possible preparation for success in the learned professions—law, medicine, teaching—as well as in the less traditionally learned but increasingly arcane professions of business, finance, and high-tech innovation.